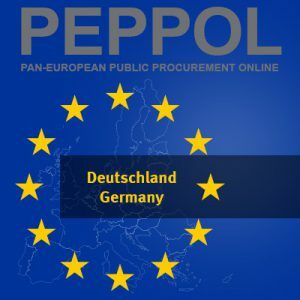 PEPPOL is the main driver for E-Procurement by public authorities in the EU. PEPPOL or individual country-specific procedures are becoming more and more relevant for public sector suppliers. PEPPOL stands for Pan-European Public Procurement OnLine. Its objectives are to use open standards to accelerate a fully electronically supported public tender and procurement process (public E-Procurement) and to save costs. PEPPOL is not limited to invoice exchange (e-invoicing), but covers the entire electronic procurement process. PEPPOL is an open cross-border network and allows the exchange with all partners registered in the PEPPOL network with only one connection. The exchange takes place via so-called Access Points – securely and without roaming charges. Existing national systems and standards can be integrated. PEPPOL format ‘Universal Business Language’. The ISO/IEC 19845 standard describes the UBL by OASIS. 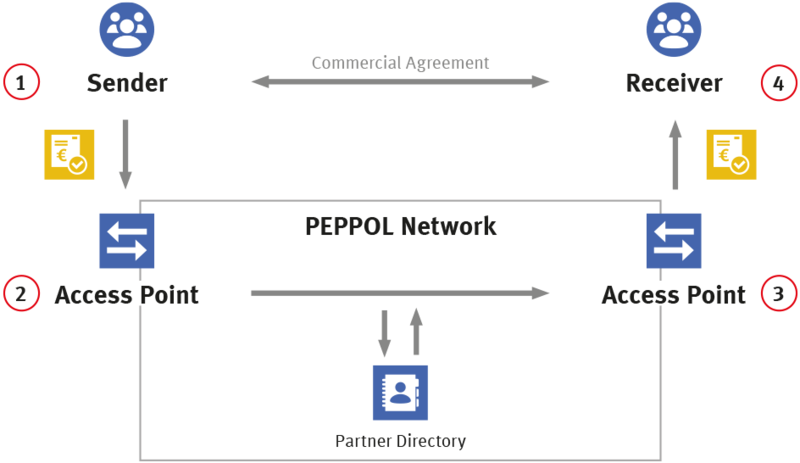 Communication via the PEPPOL eDelivery-network, which provides a service – similar to Yellow Pages – to identify recipients, permitted processes and their access point providers. Are there deadlines for the use of PEPPOL? There are no tangible deadlines for the use of PEPPOL across countries. However, in some countries public sector suppliers are increasingly obliged to use PEPPOL. 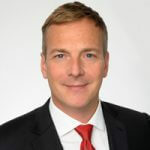 SEEBURGER Cloud Services enables you to quickly and easily send EU-compliant invoices to public administrations and other PEPPOL partners throughout the EU via PEPPOL. To make implementation easy and minimize risks, it is recommended to work with a partner who knows PEPPOL, ERP system integration, electronic formats and highly scalable cloud services extensively. A more experienced partner can support you competently and comprehensively from a single source during the introduction. SEEBURGER provides an immediately usable, pre-configured cloud service to which you only transfer the invoice data in a defined interface format. These cloud services are ERP system independent and include legally compliant archiving.